Shortlisted for the Man Booker Prize, Darkmans is an exhilarating, extraordinary examination of the ways in which history can play jokes on us all... If History is just a sick joke which keeps on repeating itself, then who exactly might be telling it, and why? Could it be John Scogin, Edward IV's infamous court jester, whose favorite pastime was to burn people alive - for a laugh? Or could it be Andrew Boarde, Henry VIII's physician, who kindly wrote John Scogin's biography? Or could it be a tiny Kurd called Gaffar whose days are blighted by an unspeakable terror of - uh - salad? Or a beautiful, bulimic harpy with ridiculously weak bones? Or a man who guards Beckley Woods with a Samurai sword and a pregnant terrier? 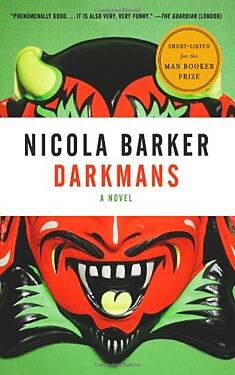 The third of Nicola Barker's narratives of the Thames Gateway, Darkmans is an epic novel of startling originality.